Every school day, Rev. 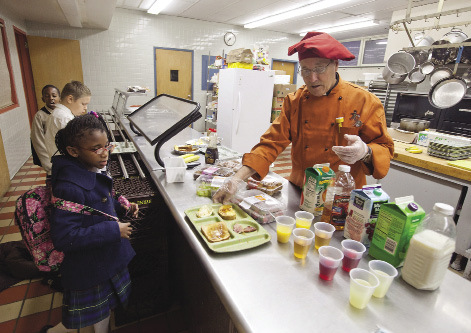 Fred Mannara, pastor, prepares a homemade breakfast for students at Most Holy Rosary School. Rev. Fred Mannara is a visible presence at Most Holy Rosary Parish in Syracuse, NY. He is often seen in the halls of the school, saying Mass in the church or chatting with parents. If you’re looking to find him between the hours of 7 a.m. and 8 a.m. on any given school day, however, just follow the delicious smell of French toast, pancakes, ham or bacon wafting from the cafeteria. That’s where the pastor is faithfully stationed every morning in his chef’s hat and coat, as he prepares breakfast for children from Most Holy Rosary School. and established the Federal Food Program at the school to provide not only breakfast but a low-cost lunch, as well. What has also recently landed on Mannara’s shoulders is additional responsibility for Most Holy Rosary School. 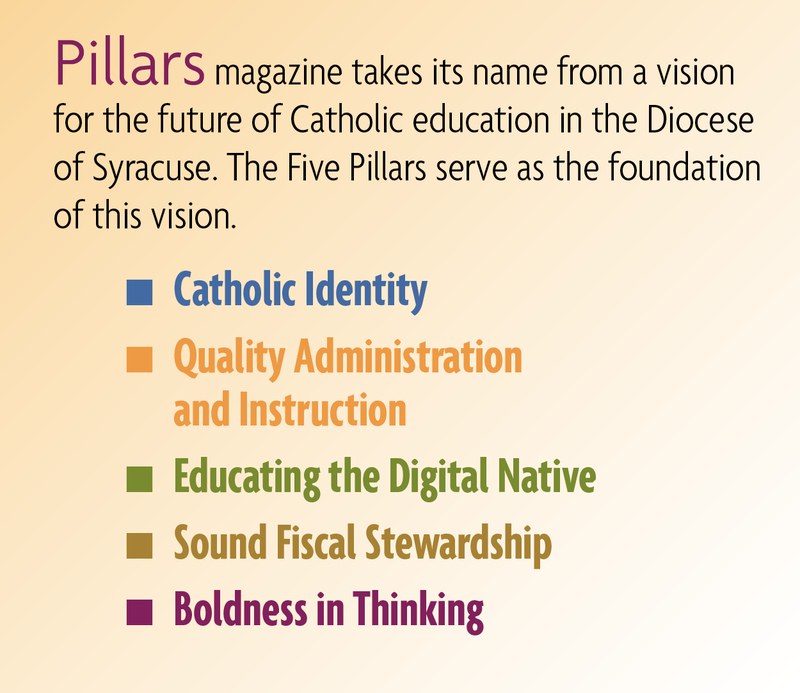 In 2006, the 97-year-old school was placed under direct control of the Syracuse Diocese, along with three other schools, with the intention of developing a more efficient and cost-effective education model. For a time, it was renamed the Bishop’s Academy at Most Holy Rosary. However, after five years, it was clear that the “academy” model hadn’t met its initial goals, so the diocese asked the parish to reclaim responsibility for what again became Most Holy Rosary School. While the school’s enrollment has struggled over the past decade due to the local economy and changing demographics, Mannara was thrilled that the number of students increased slightly over the summer of 2011. Today, approximately 55 percent of students are parishioners and about 75 percent are Catholic. Others live in and around the neighborhood and come to the school seeking better opportunities in a safe, academically-oriented environment. Mannara also is happy when the children join him for breakfast. 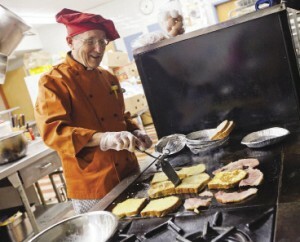 “I know each morning that we’re providing these children with the basics they need to be successful,” he said, as he greets the first few students eager for the day’s selection of French toast, ham, fresh fruit and milk. Editor’s Note: In September 2011, the Bishop’s Academy at Holy Family and Cathedral Academy at Pompei were also placed back under their respective parishes. Caroline K. Reff is a freelance writer and public relations consultant in Syracuse, NY.